Second one is Boba's.... patch, I guess you could say. It's located on the upper right corner of his chest plate. 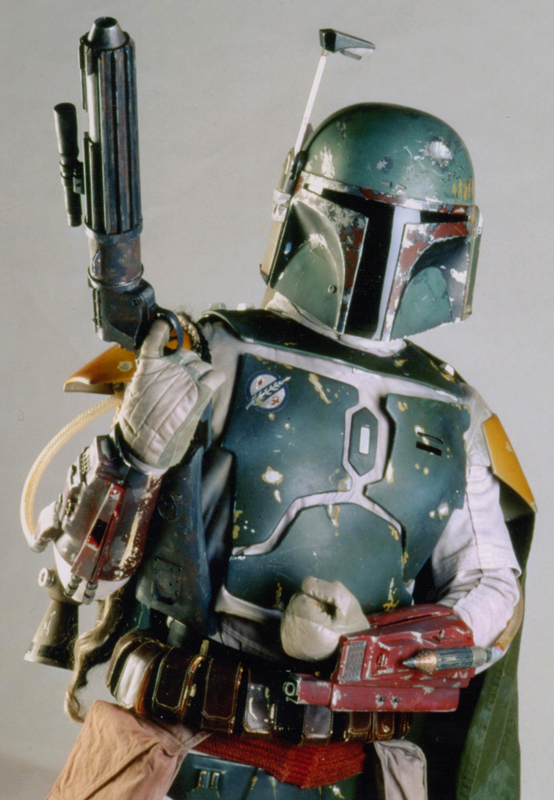 Yup, that is the one Boba wears. Although I think it's a journyman protector's badge. It has a little mando'a detail to it- It indicates who may be a fellow mando if the person seeing it can translate the writing. Where did you have your Mythosaur skull done? Very nice inks, I wish I had your "balls"
Zacic, just make sure you have a reference picture with you (in the exact pose or style or whatever it is that you want it to look like, if you can), and make sure you find a tattoo artist you can trust. I had a friend of mine do it right before the shipyard called to muster my crew to a job. He's an apprentice tattoo artist, so I gave him some practice materiel(all equipment and procedures are of professional grade and completely sanitary). It came out really well, despite his inexperience and being rushed. how does the fit feel on the jumpsuit? Take into account that it might get snugger with the armor plates. The suit is a little on the loose side, actually. I took into account the armor plate making things a little more snug, so I ought to be allright. Next up, gaunts in progress and boots completed. Ya don't worry about the baggyness of the suit, the vest with the armor plates on it will tighten it up around the chest area, you may need to take in the legs though, I know I'm probably going to have to do that on mine.